Google has agreed to pay £130 million to settle its UK tax liability for the period 2005-14. The deal has been hailed by the government as a ‘major success’. Boosting tax revenues at a time of austerity is most welcome, but the deal raises some questions. What tax should Google have actually paid in the UK? This depends on Google’s UK sales and profits. The company’s legally compliant accounts published in the UK do not provide meaningful information. We need to look elsewhere. Google files statutory returns with the US Securities Exchange Commission (SEC). One of these is Form 10K (for example, see the 2013 return, especially page 82). Copies of recent returns are available on Google’s website. The 10K reports for the years 2005-2014 show UK sales of $35.5bn. The most recent return (page 83 of the 2014 filing) states that the sales arise from ‘billing addresses’ in ‘United Kingdom’. So is this income taxable in the UK? “I am very proud of the structure that we set up … It’s called capitalism”. HMRC has not mounted any legal challenge to Google’s arrangements. The economic substance of the $35.5bn of sales is arguably in the UK, a point strongly made by the House of Commons Public Accounts Committee (PAC) in 2012 and 2013. These sales need to be translated to pound sterling. Currently, £1 barely buys $1.40 but in earlier periods the exchange rate was much higher. Assuming that the average exchange rate during the period was £1=$1.50, then the sales of $35.5bn are translated as £24bn. 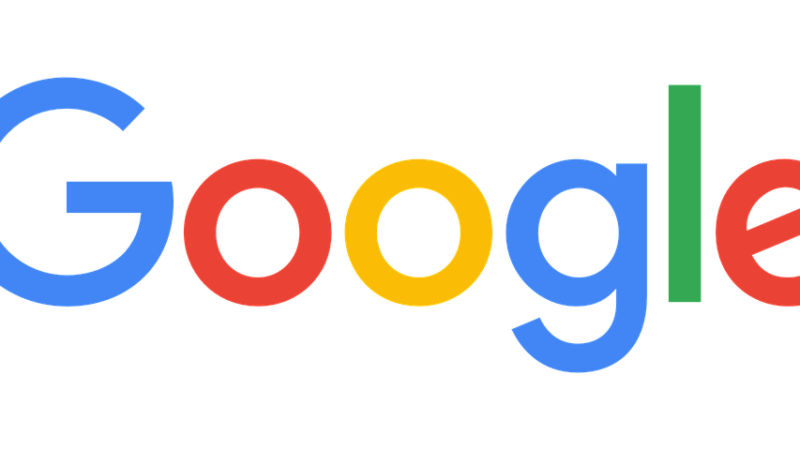 Google also has a company in the UK, Google UK Limited, which is owned by an entity registered in the US tax haven of Delaware. The accounts for the period 2005-2013 (2014 not yet available) show total sales of £2.3 billion. In principle, this amount could be added to the £24 billion above, but it is not clear whether any of this has been included in the data reported in the US. I have assumed that it is. If not, the UK sales could be £26.3bn. Google’s UK profits are even harder to ascertain. The PAC’s reports concluded that Google used a variety of accounting techniques to shift profits from the UK to related companies in low-tax jurisdictions. Therefore, the profit reported in its accounts is not a good indicator of its profitability. Informed view is that Google’s gross profit margin is around 62 per cent or has been as high as 75 per cent. Part of the gross profit margin needs to cover business costs. Informed industry view is that Google’s net profit margin may be around 30 per cent. If so, the sales of £24bn would generate UK profit of £7.2 bn. The UK corporation tax rate for the period 2005-2014 has varied. For example, for the period 2005-07, it was 30 per cent and 28 per cent for 2008-2010, declining to 21 per cent for 2014. If the average corporation tax rate was 25 per cent, then Google’s profits of £7.2bn could attract tax of £1.8bn. The accounts of Google UK Limited show that the company may have already paid £70m, or at least set aside those profits to pay taxes. Now it has offered another £130 million, possibly paying a total tax of £200 million on profits of £7.2 billion, an effective tax rate of only 2.77 per cent. That is compared to a possible tax liability of £1.8bn. I have explained the basis of my calculations, but some will no doubt disagree. So suppose Google’s UK profits were only half of my estimate, or just £3.6bn. Even then the effective tax rate is around 5.55 per cent, way below the headline rate and certainly much lower than anything paid by small businesses. Of course, Google and HMRC can resolve the arguments by publishing the data for their settlement. Whatever deal has been offered to Google is probably already on offer to other giant corporations too, and this will further erode the UK’s tax base. Government should be pressed to provide further details of the deal. How much of the £130 million is back taxes and/or penalties for late payment? What legal and other costs did HMRC incur in reaching a deal with Google? The actual net receipts may be less than £130 million. The Public Accounts Committee should examine the deal. Previously HMRC did a deal with Vodafone and a subsequent report by the National Audit Office (NAO) said that HMRC ‘did not obtain legal advice on the settlement terms’ and ‘it was not easy to find a technical legal basis to underpin’ the deal. So the NAO should examine this deal too. What undertakings, if any, has Google given to the government about its future tax practices and mode of trading? Will it still use complex corporate structures and accounting practices to shift profits? These questions should be addressed because they have implications for taxation of corporations, and the burdens on normal people. Why shouldn’t Google use ‘complex corporate structures and accounting practices’ to shift profits? It’s perfectly legal. They’re only doing what all companies do: they employ accountants and tax advisers to minimize tax liability. You say this as though it’s unusual, or underhand in some way; it’s neither. the minimum tax bill should be the amount that they pay their tax advisers willingly in salaries and bonuses. The `complex rules’ come about because of their dodgy practices. It is questionable, when the person who authorises the deal in HMRC ends up working for the firm who managed said companies tax affairs. In many other countries that would be classed as corruption. Time was when HMRC and the Treasury refused to discuss individual cases.George Osborne had expected us all to applaud his “good deal” with Google, which was presumably intended to be the first of several with the great and the good of the Internet. Well, we didn’t, and we won’t. Osborne is already as unpopular as Jeremy Corbyn, but for far less complementary reasons. And that is before the coming Crash. That there are “more people in work” is only because there are more people in general, there are zero hours contracts, and the unemployed have been reclassified as the self-employed. No one is fooled. The voters will prefer the nice and principled man with whom they disagreed on this or that, to the nasty and incompetent man who had destroyed their livelihoods. There is no fiduciary duty on company directors to minimise tax liability. That duty does not exist. “All companies” do not get the same tax write off’s by HMRC ! Small businesses who employ around half of the total number employed in the UK dont get these breaks, not only is there no level playing field because of the tax write offs by HMRC for large corporations and very wealthy individuals corporations use, and have their UK employees use all the same infrastructural benefits that we all use yet they dont pay for much of them. And yet we are the ones who have to bear this politically driven style of “Austerity”. It is difficult to understand how a government can be so dysfunctional as to be unable to simply pick up its true earnings. If a householder just neglected to pick up his/her paycheck we would consider them incompetent, especially if they left their kids unfed or neglected to get them medical care. Is that not EXACTLY what governments are doing when they just do not bother to collect taxes properly due from a major corporation? And it is not the most impoverished among us that get this special consideration but rather it is the peak wealthy. Hi Prem, one of the factors in settlement may be the risk of losing. Let’s say the tax in dispute is $500 m. If experts in the revenue office and outside determine that the risk of losing is say 50% then they may be tempted to settle for half the tax in dispute. Google makes such huge profits only because their end-users (indirect customers) will look at and buy from Google’s advertising. End users can use other search engines but they remain blind to that. Why are end users behaving like sheep? Therefore they get what is due to them i.e. lack of more infrastructure for reduced tax revenue. Cannot have it both ways. Cannot have the cake and eat it. It is “perfectly legal” (to borrow from David Cay Johnston) and usual. It is also underhanded. Why not just pay your fair share? Here in Canada governments are equally dysfunctional in getting foreign multinational corporations, based offshore by operating in Canada, to pay their fair share of tax on wealth they generate off Canadians. Please stop stoking the war with Jeremy Corbyn, you are feeding in to the thuggish behaviour against him and me and the huge mass that voted for him (I didn’t because not a member) but I support his and his friends in the LP. he stood at the last min, just scraped enough parliamentarians to propose him, and then won by a landslide of the LP membership. He himself didn’t expect to win but no other proper left winger stood. We are, across the western world, heartily sick of business as usual in politics, this financial theft from our country and our people ( and on and on around the world) is a prime example of what has been allowed and we need to act together to bring it to an end. Concentrate on your real enemy! Strongly recommend this film, it makes things clearer for those of us who aren’t accountants (!) and it is kind of upbeat as it suggests what we have to do…The Price We Pay by Harold Crooks (2014). First 20 mins is on youtube followed by OECD hosted panel discussion, its for rent on Vimeo, and its got an fb page here: https://www.facebook.com/pricewepay.thefilm/ BBC should show it!